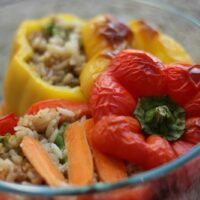 Thank you, Tai Pei, for partnering with us to sponsor this Beef and Broccoli Stuffed Peppers recipe. 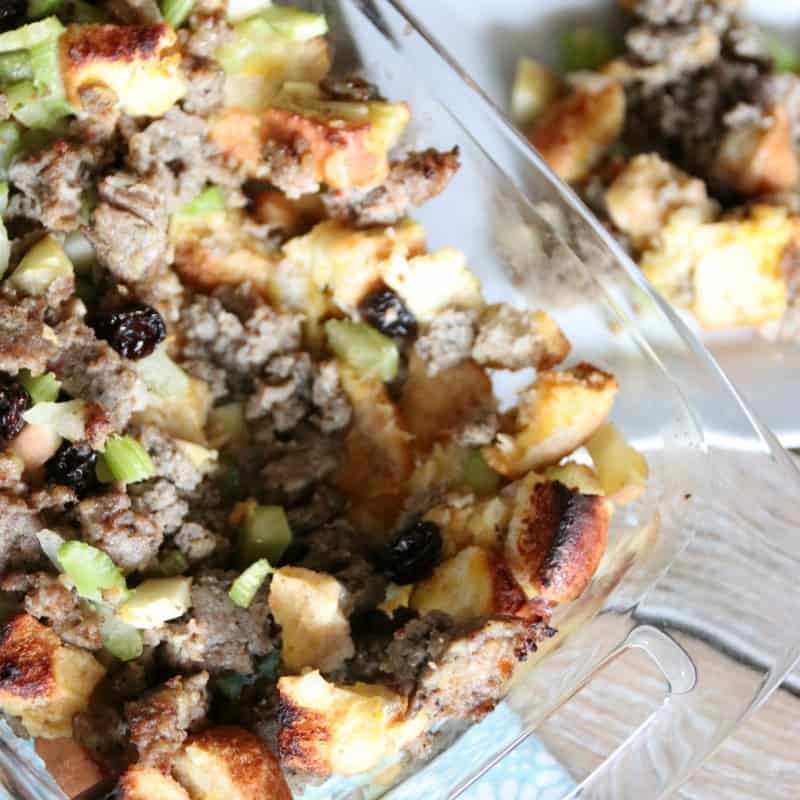 This recipe is packed full of flavor and ready for the table in less than 30 minutes. 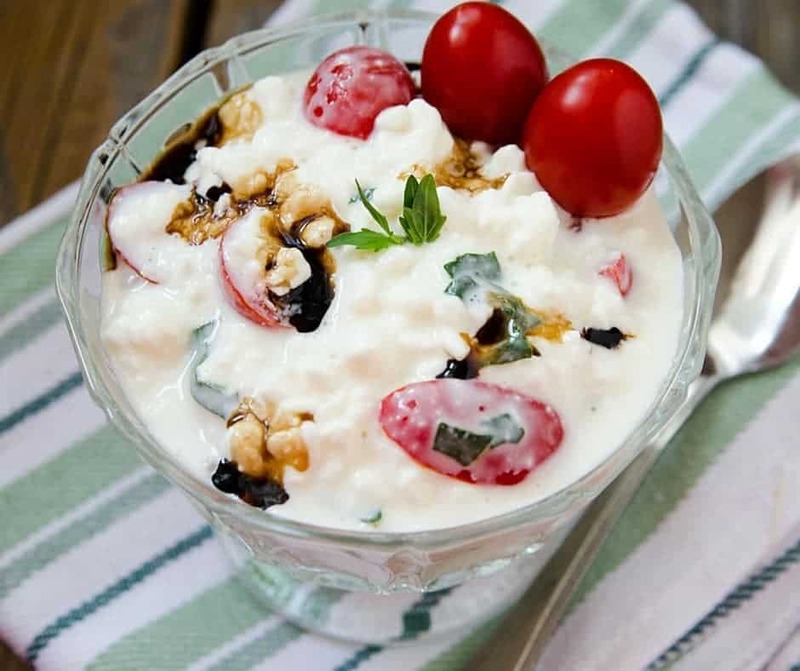 It’s a great way to enjoy a healthy meal at home without a lot of fuss. 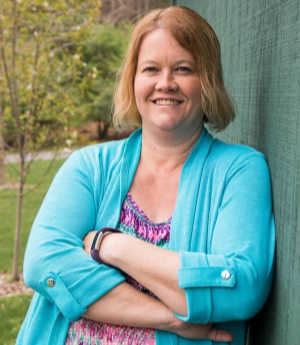 Plus, it’s only Seven Weight Watchers Smart Points in the Freestyle system. Eat up! 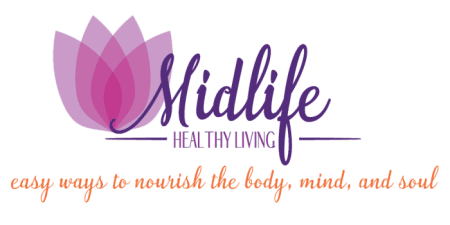 Even though I received compensation for this post, all opinions shared are my honest experiences with the product. 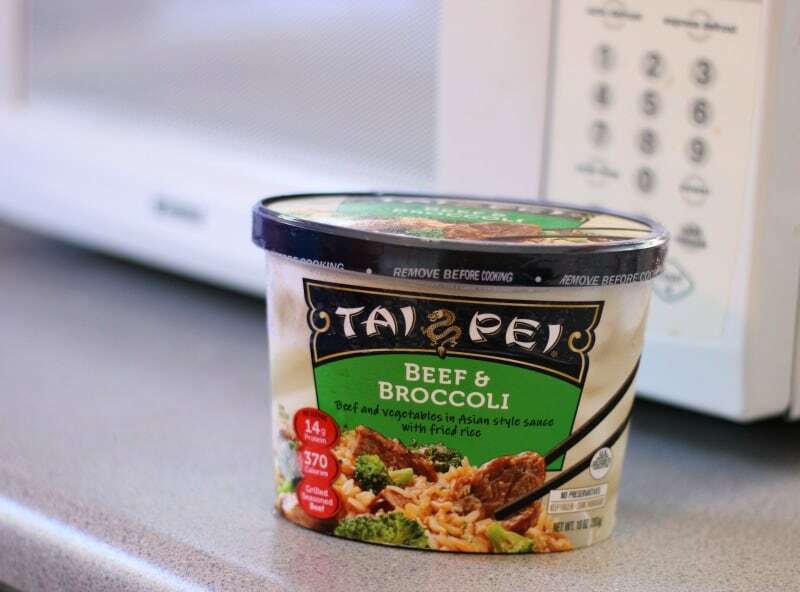 Heat the Tai Pei Beef and Broccoli entree in the microwave for three minutes. The directions say five but it will finish cooking in the oven. Make sure you peppers can stand up. Cut the tops from the peppers and remove the seeds and membranes. Spoon the Beef and Broccoli evenly into both peppers. 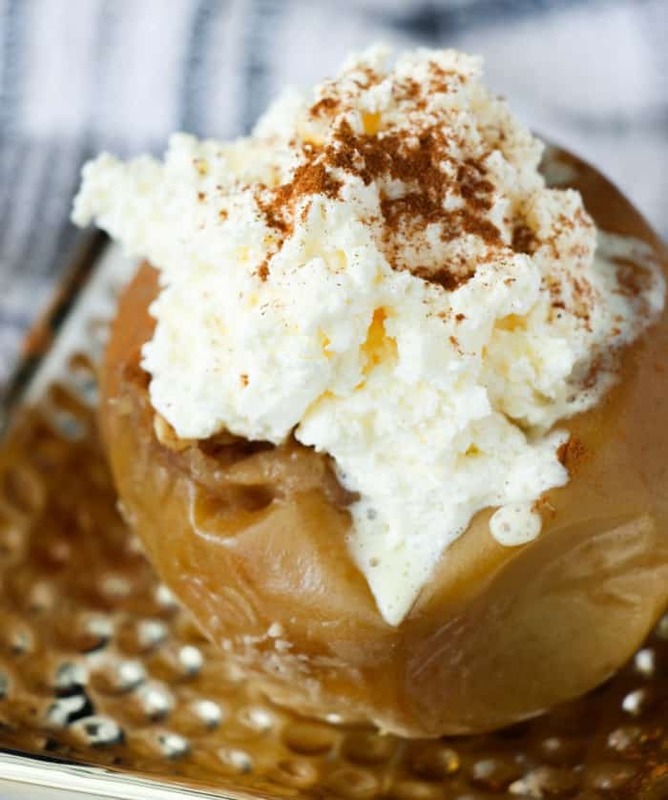 Recipes don’t get much easier than this. Two simple ingredients and you have dinner ready in a flash. I baked some extra carrots in the casserole dish with the peppers. 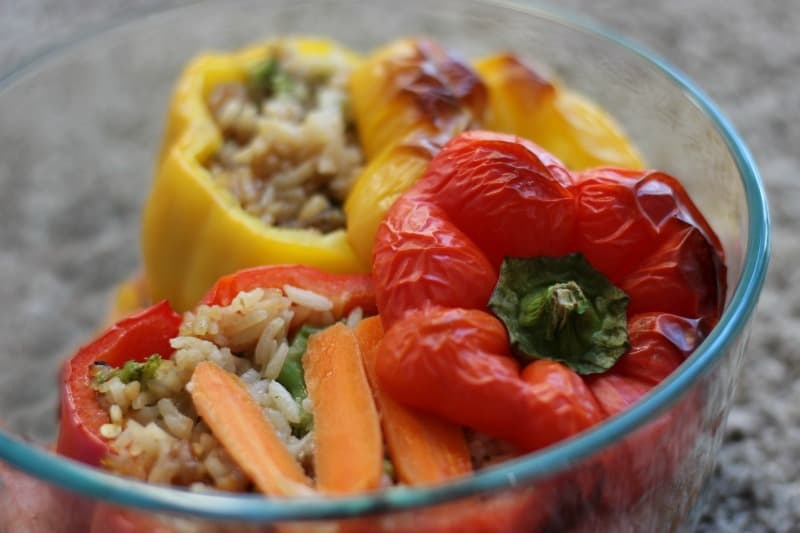 Our Beef and Broccoli Stuffed Peppers meal were definitely full of flavor and color! 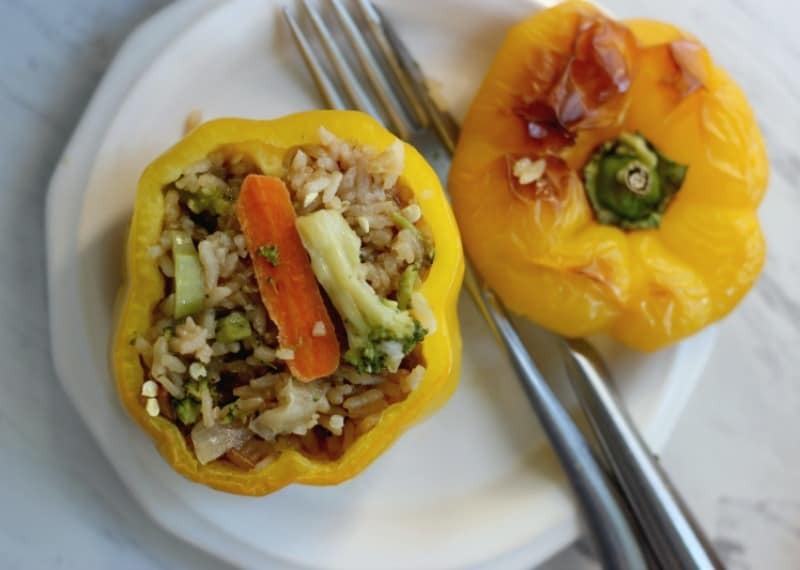 If you want to try different flavors or serve a crowd, try using the Tai Pei General Tso’s Chicken or Tai Pei Shrimp Fried Rice to fill your peppers. All of the Tai Pei products are made with clean ingredients and contain no additives, preservatives, artificial colorings, or flavorings. You will find Tai Pei entrees and appetizers in the freezer section when you do your grocery shopping. Whether you eat it as an entree or add it to a recipe Tai Pei has healthy, filling ingredients and is ready in just minutes. There are several authentic Asian flavors to choose from. The new packaging is designed to give you the perfect portion sizes to satisfy your cravings while still allowing enough space to have your meal steamed perfectly. 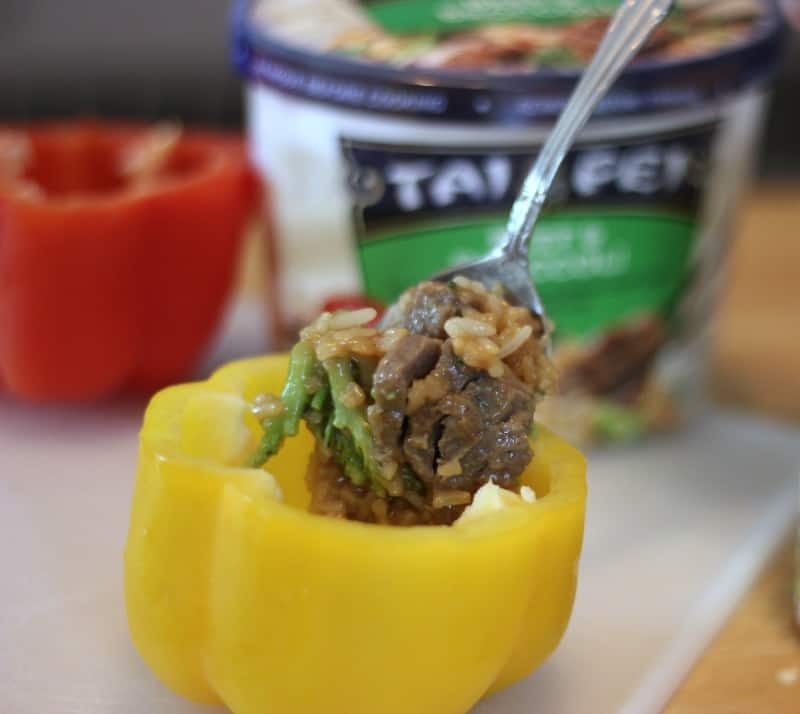 Whether you make a meal or enjoy Tai Pei Beef and Broccoli right from the container, you will have a delicious and healthy option. 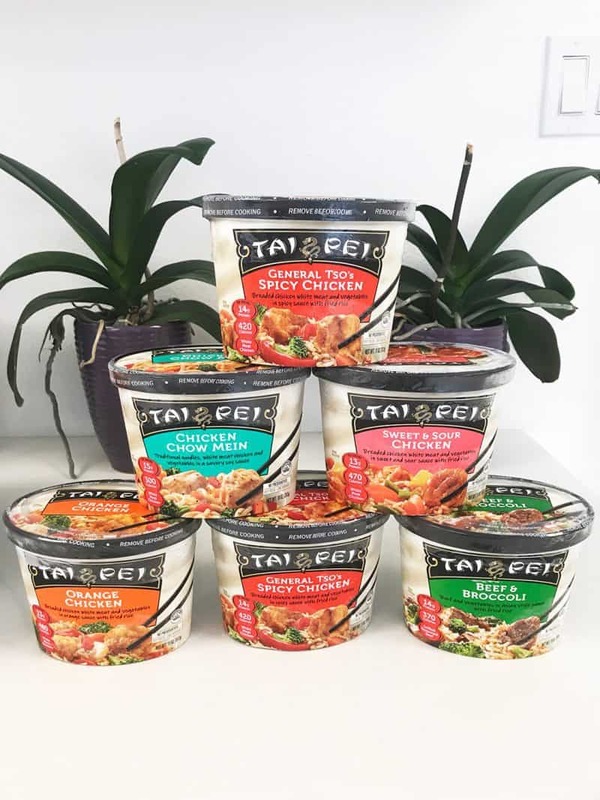 Which flavor of Tai Pei Entrees will you be trying? 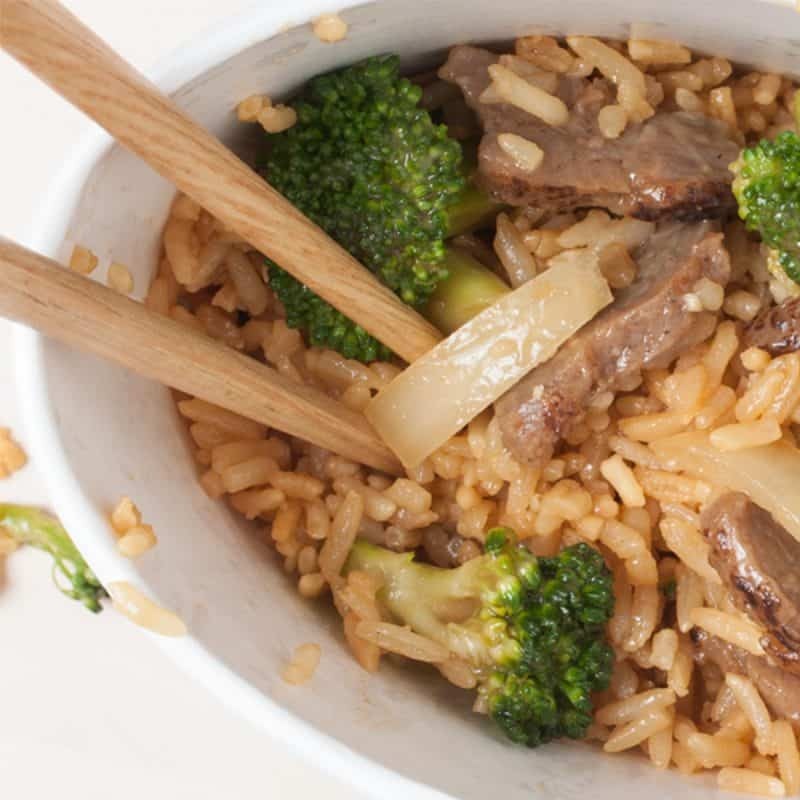 Stir Tai Pei Beef and Broccoli until flavors are well mixed. 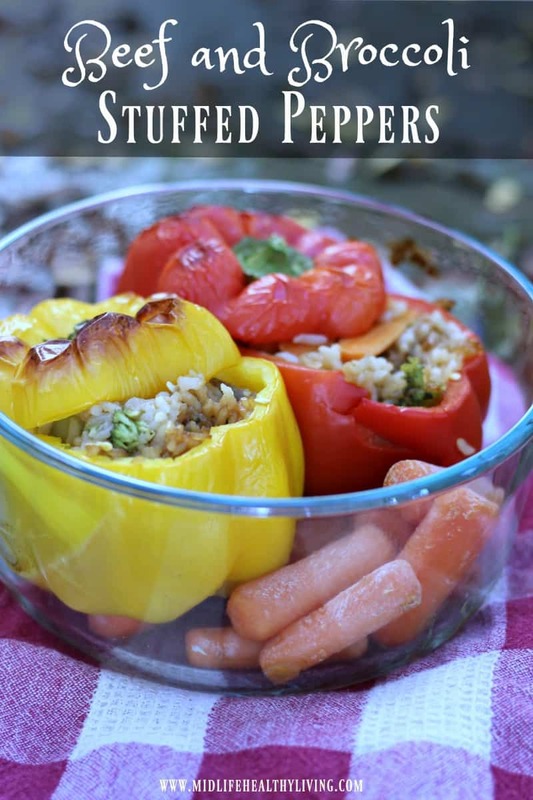 Spoon and divide contents into bell peppers and place in a baking pan. Add a few strips of shredded carrots if desired. Put tops back and bake in a 350 degree preheated oven for 30 minutes. Pepper Steak, Orange Chicken and General Tso’s Spicy Chicken.